Our product range includes a wide range of filter press conveyor, pipe conveyor and weighing conveyor. 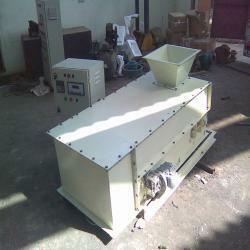 Our company is widely appreciated for providing Filter Press Conveyor to the clients. This product is tested on various quality parameters by our quality controllers to ensure zero defects. Offered range is manufactured at our well equipped manufacturing unit by trained experts utilizing fine grade quality material and with the help of sophisticated technology. 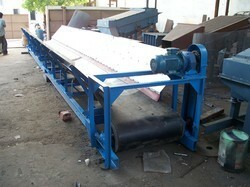 Filter Press Conveyor is commonly used in various industries for various material handling applications. Offered range is provided in various specifications. Our company is widely appreciated for offering Pipe Conveyor to the clients. This product is designed for transmitting fluids, sugar, granules and many other small particles. Pipe Conveyor is precisely manufactured by utilizing quality-proven raw material under the guidance of our deft team of professionals with the implementation of ultra-modern technology. Offered range is immensely preferable in various industries such as sugar, cement, pharmaceutical, food processing and many more. 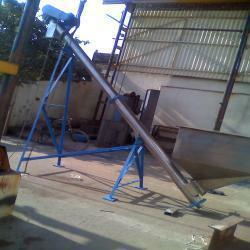 Our company has mastered the art for providing Weighing Conveyor to the clients. This product is best suited for conveying and feeding goods and is used mainly in shopping malls, railway station, airports, industries, etc. Weighing Conveyor is precisely manufactured under the supervision of skilled professionals, using quality tested material with the help of modern technology in compliance with set industry norms. Offered range is available for our esteemed customers in diverse technical specifications.